So for this week's look, I couldn't resist playing with one of my most favorite colors! This look was created using my Coastal Scents Winterberry Palette. 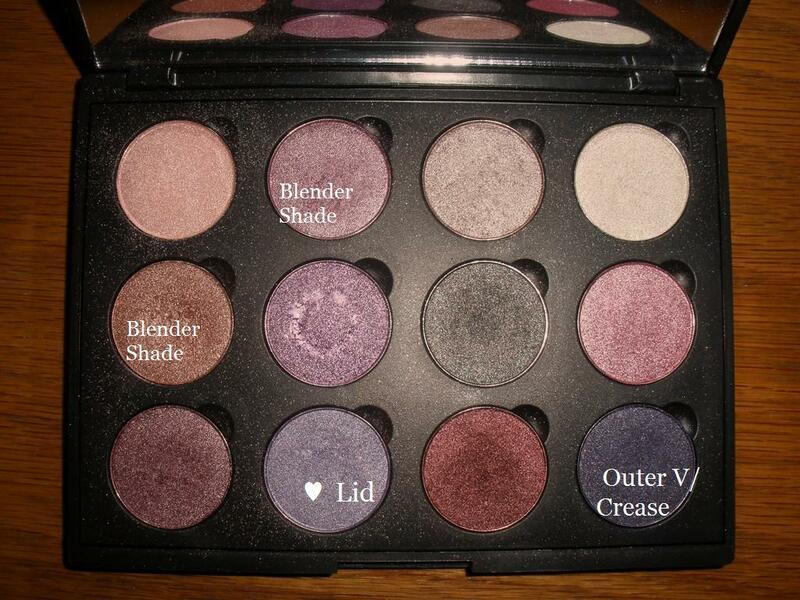 It has my most favorite shade of lilac in it (bottom row) and some fantastic shades that compliment it perfectly. Also for this look, I grabbed an AMAZING pair of bold Elise (#456) lashes from Madame Madeline. They are some of my absolute favorites. I love the sweep and the angle of them! ♥ Lipstick was Nyx Round Lipstick in Perfect and Bare Escentuals Buxom gloss in Lola. So gorgeous, as always! You did such an amazing job with this look and you look gorgeous! Love this look Colleen, you look gorgeous as always! Yay! So glad you like it! Thank you so much. You too!! Have a wonderful week! GORGEOUS DARLING!!! i wish i can pull off those colors!! Aww Niki, you are so sweet. Thank you! Lovely!! The colors are really, very pretty! Thank you, Anna! :-) So glad you like it!! Amazing as usual! Your hair looks awesome, btw! Thank you, babe!! Just got it did. The grays are tamed...FOR NOW. Ha ha!! xoxo! Miss you. Hope doggie is ok, honey. Thank you! LOL!! You are a woman after my own heart. Beautiful blog, btw! Thank you so much for stopping by. I love Lilac its my hair colour at the moment haha! I love your make-up its so beautiful I tend to throw make-up on my face and hope it does haha. I love your blog, would you maybe like to follow each other? Thank you!! I love those colors too!! Totally wearable all the time!! HA!! Janine you are hilarious! Thank you!! Thank you so much! Of course! Amazing make-up!, i love the lashes ! !, and your hair it's fantastic !! I just love the make-up and thanks for following I am now following back! Thank you Becca!! I'm obsessing over your hair! LOL! Thank you so much! You are so sweet!! Winterberry palette?? How come I've never seen this?? I love purples...actually I'm obsessed with purples!! This might just be one of my new fave looks, sooo pretty! Love how flawless your eyes look!I'm rubbish at make-up...thank god for your blog eh? Ha ha!! You are too sweet! :-) Thank you so much, I'm so glad you like it!